Alcohol and drug abuse can too often be the cause of work-related injuries, traffic fatalities, birth defects, impaired health and broken homes. But today there is support for those influenced by the abusive and degenerative effects of alcohol, drugs, and their related problems. 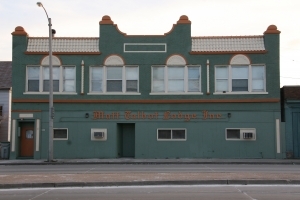 Matt Talbot Recovery Services, Inc. offers hope to people of all races and gender.Our Men’s Residential is located in the heart of Milwaukee’s vibrant central city and easily accessible by public transportation, this 26-bed structured living facility, founded in 1966 by the late Roger P. Hogan, has provided sanctuary to thousands of men seeking to address their substance abuse and regain control of their lives. A disciplined program – including individual and group counseling, family education, pre-entry and aftercare support groups, and the building of life skills in order to function independently – presented within a positive, supportive environment, is at the core of Matt Talbot’s success. Over the years, Matt Talbot Recovery Services has restructured its programs to meet the changes and challenges in the field of alcohol and other drug abuse. While our program has evolved, its philosophy has remained constant: that all men and women are endowed with an inherent dignity, and each has an inalienable right to pursue life, liberty and happiness. Yet due to the abuse of alcohol and other drugs, some individuals have lost awareness of their dignity and are unable to follow these pursuits. Persons so afflicted are entitled to and can benefit from a program of rehabilitation that considers each person’s physical, emotional and spiritual well-being. At Matt Talbot Recovery Services, our goal is to help each individual achieve and maintain sobriety, wellness, and find a meaningful place in society. When I walked in the door, I knew this was my last chance. I am a drug addict /alcoholic and have been in and out of treatment forty times or more. Then I took a chance on the Matt Talbot Recovery Center. As a result, I have been one year clean and sober this time. I’ve learned to listen and to believe in a power greater than myself. I thank God for the Matt Talbot Recovery Services. They were not only informative and understanding, but friendly and supportive.